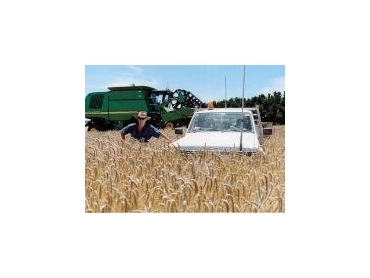 Agricultural Risk Management Services Pty Ltd (ARMS) is a wholly-owned subsidiary of GrainCorp Limited . ARMS allows growers to take advantage of marketing opportunities as they arise, even before their crop is planted. The price that the grower receives is made up of three main price determinants which are generally decided by a number of domestic and international variables. Many growers see the management of these factors as minimising risk as opposed to accepting the extra price risk of leaving their marketing until late in the season when “the grain hits the silo”. Unfortunately many growers will face depressed silo prices due to a soft international market this season. During 2005, ARMS was of benefit to a number of growers when a window of opportunity opened between April and July to hedge a conservative amount of production tonnage following a brief rally on the international markets for wheat and canola. These growers are now realising port prices in excess of $195 for wheatand $430 for canola. If you are keen to learn more about ARMS please contact your local AGA representative; Anthony Furse, Greg Greer or Luke Kenniff – ARMS 1300 658 484 or arms@graincorp.com.au.